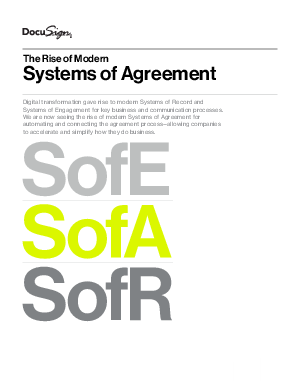 Every organisation already has a system of agreement. It's how written agreements get prepared, signed, enacted, and managed. But typically, it involves a messy, improvised mix of printing, signing, scanning, faxing, and overnighting paper agreements. These needlessly slow legacy processes add costs to agreements due to wasted productivity and materials.